When we talk about vaporizing weed, it is referred to a process of heating up cannabis before its point of combustion. Meaning that the active compounds in the marijuana turn to vapor without needing to ignite the plant matter at all. For you to vaporize marijuana you will need a vaporizer. It’s become known that vaporizing is undoubtedly the healthiest way to consume marijuana. The vaporized cannabis comes without the toxic smoke and compounds, and the high you get is much clearer than the one you may expect from smoking or consuming the marijuana. However, there is an aspect of vaporizing cannabis that deserves a special attention, which is the temperature. It plays the most important role in determining the effects that a cannabis enthusiast will experience. 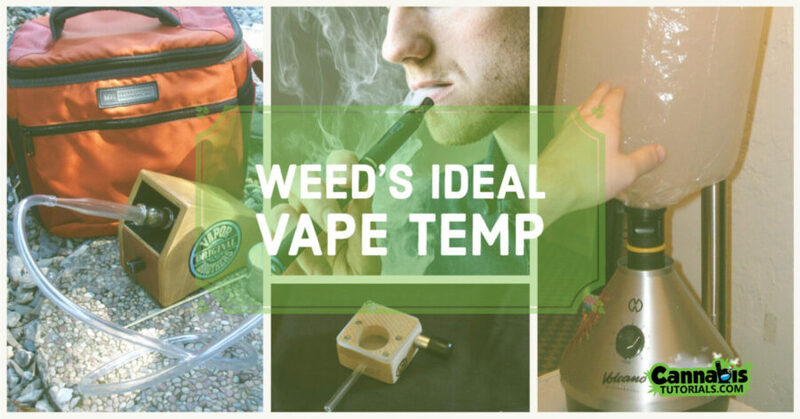 Why is getting the ideal temperature so important when you are using a marijuana vaporizer? The right temperature will be an assurance for efficiently vaporized cannabinoids and terpenes, which leads to optimal medicinal and recreational benefits. Finding the ideal temperature for vaporizing cannabis depends on the type of vaporizer that you are using and the compound from the cannabis you want to vaporize. Talking about the kind of vaporizer, it could be a vape pen, portable vape, or a desktop unit. All in which they work differently and for that reason require different temperature settings. For instance, the weed in a vape pen may explode at the maximum temperature setting. Meanwhile, another kind of vape may require that extra bit of heat. On the subject of the compound from the cannabis that you are vaporizing, each has differences regarding how they vaporize. In general, there are lots of different medicinal marijuana strains out there. Each of which contains different contents that vaporize at different temperatures. Having this in mind, knowing the compound you are working with is essential because they vary dramatically from each other. Take weeds that are not fully dry for instance can significantly alter the heating requirements. Generally speaking, dry weeds burn the most efficiently regardless of the type of vape you are using. Knowing that vaporizing is feasibly the best and healthiest way to consume cannabis, you want to make sure that you get the most out of the experience. You can be sure to find the ideal temperatures for vaporizing. And at the same time as important, you can also enjoy the many benefits gained from consuming cannabis. At the present time, it’s become common knowledge that vaporizing is the healthiest way to consume marijuana. What’s not really known is the role that temperature plays in determining the effects a marijuana user will experience. The ideal temperature for vaporizing cannabis is around 175 to 200°C (347 – 392°F). If a consumer vaporizes cannabis below 180°C (356°F), they will mostly inhale terpenes because cannabinoids will not evaporate at low temperatures. But lower temperatures can be perfect for those who want a less intense and a more awake high. Higher temperatures tend to yield more cannabinoids. That is, lower temperature tends to yield more terpenes and higher temperatures tend to yield more cannabinoids. In one experiment, a vaporizer only yielded 24% of cannabinoids when it’s set at a temperature of 170°C (338°F). Though, the yield jumped to 76% when the vaporizer was set to 230°C (446°F). The best extraction of THC occurs around this temperature, although lower temperatures are likely healthier for the users. Marijuana users should be cautious enough not to vaporize at or above 235°C (455°F) since the vapor will turn to harsh and may possibly start to burn. When this happens, you are creating the same toxic compounds as during smoking. Despite what some of the marijuana users believe, trying to adjust the vaporizing temperature according to whether you want to feel the effects of CBD or THC will barely make you feel a noteworthy difference. This is because the boiling points of these two cannabinoids lay 10°C (18 °F) from one another. Given that most vaporizers don’t come with that level of accuracy, there’s no point in seeking the perfect temperature for one of these two cannabis constituents. Instead of playing with temperature, you will be much better off regulating the balance of CBD and THC in the marijuana you are breeding. To cut the long story short, I should say that the best temperature to feel the effects of both cannabinoids is around 175 to 200°C (347 – 392°F). It’s easy to remember that level, so you don’t have to bother with two various temperatures for an almost unnoticeable difference in high. Although specific temperature settings play a key role in the quality of your cannabis experience, there are other too, almost equally important factors to consider. When you look at a freshly purchased bag of weed, you should pay attention to the moisture content of the cannabis. The first thing to boil off when you heat marijuana in a vaporizer is the remaining water in the plant. Other than that, ensure that your vaping device is of great quality. There is no point in being a penny-pincher in this case because a cheaply made and inaccurate vaporizer will almost certainly have hotspots, which makes it difficult to preserve a consistent temperature. 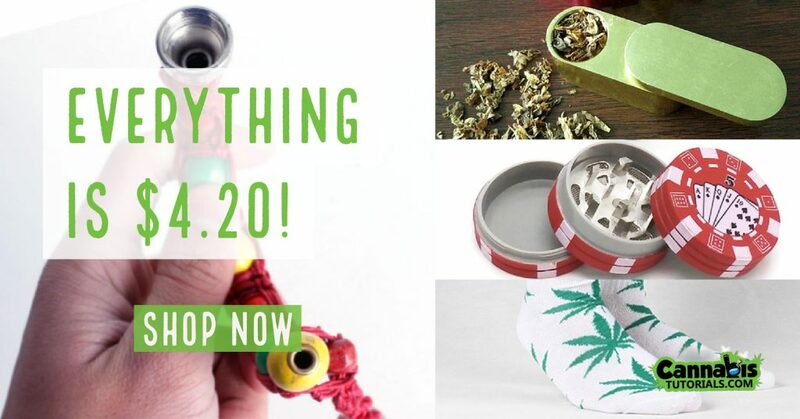 The benefits of switching your smoking habit to vaporizing marijuana can offer you some great benefits, and as it becomes more extensively popular, more choices and options will become available. There is already a market of weed vaporizers out there and a community standing with them.